Against all odds, 17-year-old Gene has survived in a world where humans have been eaten to near extinction by the general population. Gene is a human, and he knows the rules. Keep the truth a secret. It's the only way to stay alive in a world of night. His need to survive is stronger than ever - but is it worth the cost of his humanity? Andrew Fukuda works as a criminal lawyer in New York. His first adult novel, Crossing, was selected by Booklist in 2010 as a Top Ten First Novel. 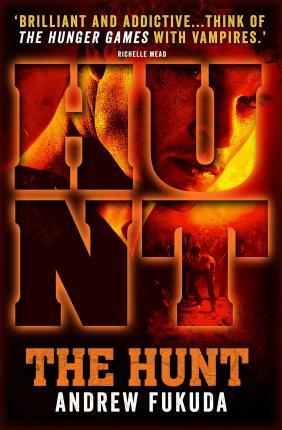 The Hunt was his first YA novel, and has been widely-acclaimed.